Yahoo Sports has reported that forward Brian Scalabrine, who spent the last five seasons with the Celtics, has agreed to a non-guaranteed contract with the Chicago Bulls. 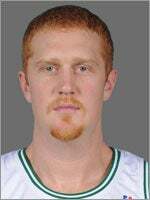 Scalabrine, 32, averaged 9.1 minutes a game last season, but played only one playoff game. His career scoring average is 3.3. In Chicago, Scalabrine re-joins former Celtics assistant coach Tom Thibodeau, who is now the Bulls’ head coach. According to the Yahoo report’s sources, Scalabrine was a “good bet” to make the team.